Just listen to Deb Burns, Meganne Masko and Natasha Thomas sing Simon & Garfunkel’s “The Boxer” to a lone guitar and you immediately understand why they are passionate about music therapy. The beauty of their voices amplifies their love of music and desire to share it with others. 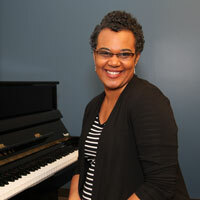 Burns, Ph.D., MT-BC, is the chair of IUPUI’s Department of Music and Arts Technology and professor of music therapy. Since 2005, she has built the music therapy program in phases, starting with a master’s of science in music therapy, and bringing on Meganne Masko, Ph.D., MT-BC/L, as assistant professor of Music and Arts Technology over a year ago. In this role, Masko teaches undergraduate courses as well as graduate courses for a master’s degree in music therapy. Additionally, Masko recently developed a curriculum for an undergraduate degree in music therapy. Thomas, MS, MT-BC, visiting clinical assistant professor in Music Therapy, will begin teaching the new bachelor of science in music therapy courses this fall as well as work on community engagement and social justice initiatives. "We are really excited about this new degree program, and we’re incredibly fortunate to have Meganne and Natasha join the department," said Burns. "There are only a few people in the U.S. with their unique training, knowledge and experience. They have a long history of working together. We’re looking forward to what they will contribute to the department, the school and the community." All of the courses in the music therapy program are based on the accreditation and approval guidelines from the National Association of Schools of Music and the American Music Therapy Association. A student maintaining continuous full-time enrollment will be able to complete the degree after four years of courses and a required six-month, full-time clinical internship. The program is designed to prepare students to sit for the Certification Board for Music Therapists' exam to become credentialed music therapists or to seek graduate degrees in areas such as music therapy, music technology, counseling, social work and neuroscience. 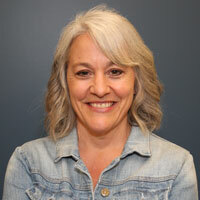 Masko will continue her program of research, of which the primary focus is examining mechanisms underlying the effectiveness of music therapy in addressing the spiritual needs of adults with metastatic cancer. She also is researching potential genetic and epigenetic changes following music therapy in adults undergoing cancer treatment. 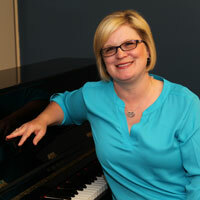 She was an Assistant Professor of music at the University of North Dakota – Grand Forks since 2011. Masko also served as a board-certified music therapist from 2007 to 2011 at the Hospice of Dubuque and at Hills and Dales from 2010-2011. She earned her B.S. in music from Drake University and a M.S. and a Ph.D. in music from The University of Iowa. She also pursued music therapy equivalency training from Alverno College. Her post-doctoral work in a mixed methods research training program was done at Harvard School of Public Health/Johns Hopkins School of Public Health/University of Michigan. Thomas received her undergraduate degree in music therapy from the University of North Dakota (UND), holds a master’s degree in special education (also from UND, with an emphasis on visual impairment), and is currently pursuing a doctoral degree in expressive arts therapies from Lesley University in Cambridge, MA. She has served on the Midwest and Southeastern regional boards of the American Music Therapy Association in various committee positions, most recently as the Southeastern representative on the Diversity and Multiculturalism Committee. Her current research focus is on the relationship between the identities of youth from low resource communities and their music making choices in the social context. In the near future, all three will focus on the development of a music therapy clinic that will be open to the public.